See your takeoffs, speeds, distances, board angles, turns and more with realtime 3D board visualization, speedometer, and 3D GPS playback. Xensr measures every swell that passes under your board while sitting in the lineup to provide an accurate measurement of just how big it really was. Let’s face it, we all have a secret spot. You can use Xensr at all your favorite breaks and we’ll never tell anyone where you’re riding unless you choose to share. 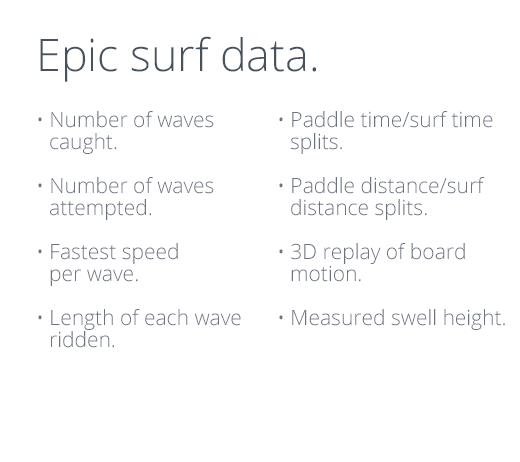 In a world of wearables, Xensr is a mountable sensor for your surfboard. 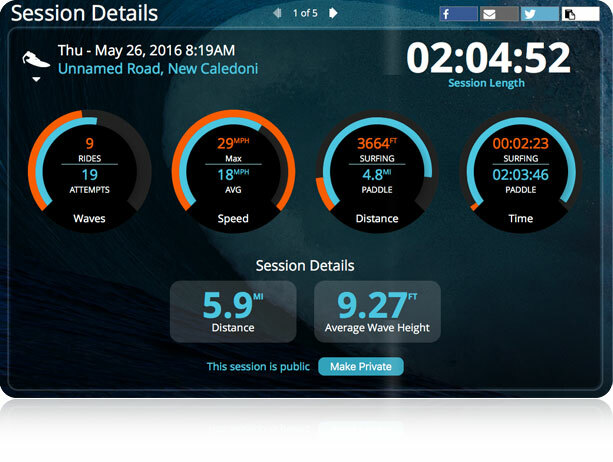 Xensr measures everything your board does…The action happens on the board, not on the wrist. No surf? Take your Xensr into any of your other sports! Xensr is a multi-sport device that mounts to your gear and tracks everything you do. Get out and go! No swell? No problem. Hit the trails, slopes and more with Xensr!